Nothing is more exciting than the start of a school year! On the first day of school, I was up early along with bus drivers, teachers, principals, central staff, parents, and learners; all of us anticipating the drive or walk to school. When I saw the first bus on Route 20N this year, I was reminded of my first day as superintendent several years ago. I feel every day the responsibility of running a school division with about 13,000 students in 26 schools that are spread over 726 square miles. However, the first day always feels important to me because it signifies the beginning, the turning over of a new leaf, a fresh start. Our teachers feel it. Our young people know it. Together, the entire community awakens when the hundreds of big “yellow” buses begin navigating our roads, transporting approximately 10,000 students during the school year. Daily, our buses drive in the neighborhood of 10,000+ miles each day. That’s almost the distance of driving back and forth to San Francisco twice in one day. During the first two weeks of school, central staff and I each visit schools daily to be “boots on the ground” in support of our educators and learners. We check in with principals on general enrollment numbers and monitor this daily so that we know whether we will need to add staff or transfer staff after Labor Day. Enrollment patterns begin to stabilize in September and principals work to adjust schedules and staffing with central support. The School Board has an adopted methodology for use of emergency staffing to address needs in schools. This year, we knew we would see increased class sizes in grade 4-12 as a result of changing the student-teacher ratio as a budget strategy last year. However, we also are seeing increased growth across the division, particularly in several schools in the north end of the county. We also walk with principals to meet and greet teachers new to Albemarle, check in with experienced educators, and observe our learners at work – even on the first day of school. I have been pleased to see learners active and engaged in every school I have visited. From second graders listening to and directing Beethoven’s Fifth Symphony to chemistry students working in their first lab, our students have begun the year with engaging work. The MESA (math,engineering, science academy) at AHS serves students from ninth to twelfth grade this year. In talking with the drama teacher at MoHS, I learned that the big musical production will be Hairspray. 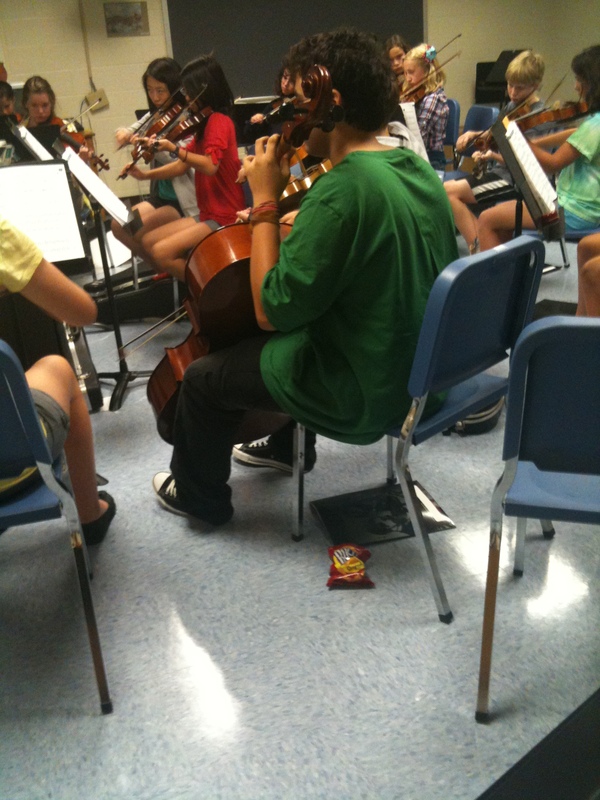 Henley Middle School’s strings class had instruments in hand and were making music the day I visited there. I’ve had a chance to learn to count to five in Chinese, to chat in Spanish, and observe students taking a virtual Japanese class. I’ve observed kindergarten children making beautiful patterns with pattern blocks and geometry students using SmartBoard technology. Children have been constructing art on computers, writing in their journals, throwing clay on the potter’s wheel, playing chess, dancing, playing a chase game in PE, creating video documentaries on how to use the library, and reading big books, novels, and picture books. Our students are back in school and busy learning. The teachers have been planning for this year since last spring, They have attended workshops and taken courses over the summer to update skills. The division has a new social media outlet for information on Facebook : http://www.facebook.com/K12Albemarle . Here, you can interact with other parents and with staff around topics of interest. The School Board contemplates the appointment of a new School Board member to take the place of Brian Wheeler who resigned in August. They will be reviewing applications and making a decision soon. Public comment on the characteristics that the public would like to see in the new Board member will occur on September 9 at 7:30 p.m. in Lane Auditorium at the County Office Building. Education provides the only pathway to a viable economic future for our country. We need more students earning college degrees, not fewer. We need inventors and problem-solvers in our workforce. We need an educated citizenry capable of making the difficult decisions we will face as the 21st century marches forward. Most of all, we need you to join us in our work to make Vision 2023 real – educating today’s learners for tomorrow’s workforce, colleges, and communities. The kindergarteners who entered our classes this year in 2010 will graduate in 2023. They will be our future doctors, legislators, teachers, auto mechanics, and journalists. We need them to get the best education we can provide. After all, somewhere out there is a future president and he or she may be in a classroom just next door. 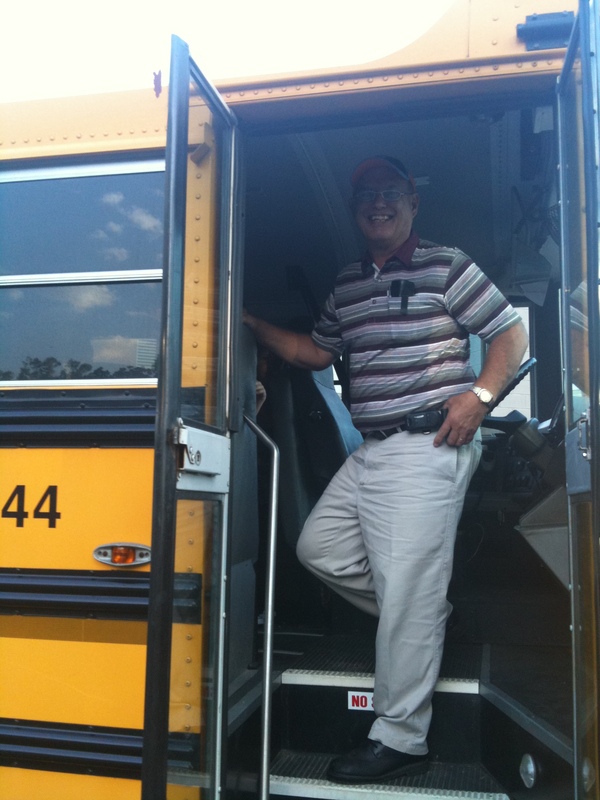 You are currently browsing the Superintendent's Blog blog archives for September, 2010.